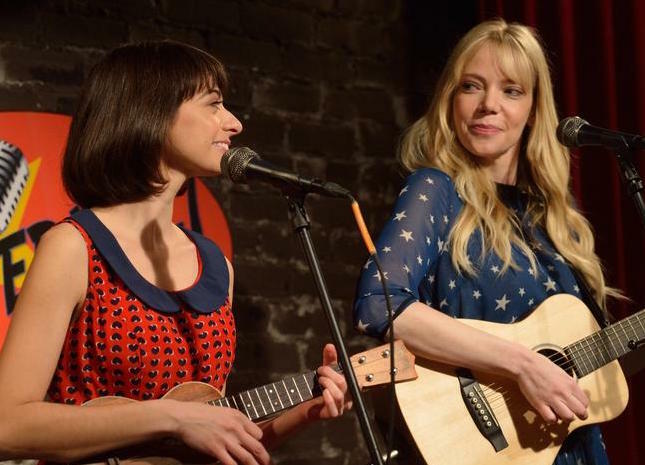 To me, Garfunkel and Oates is the Firefly of sitcoms. You guys are amazing, wish you had been on a better network! Because I live under a rock I didn’t know you existed until Netflix… But I LOVE your show. I was watching it after a really bad day at work. The song at the end about being a loser… but someone who tries and deserves a cheering section too… Wow. That made me feel so much better. Everything else is hysterical, but that was touching. Seriously, I watched your show on Netflix, and loved it! Especially the last song, “Loser.” Right now I’m far from home, trying to accomplish something so big, and I keep fearing I’ll fall flat on my face, and that song did bring a tear to my eye. I hope Netflix picks you guys up, and I really think you guys are amazing, best wishes and thank you! Sad to read there is no Season 2, but best wishes for what we know will be more great things in the future! I am going to petition Netflix to pick your show up and never let it go!!!! Love you two soooooo much! 29, 31 changed my life as a 22 year old! Also, I will be spreading the greatness that is Garfunkeand Oates like a bad STI. I was like “Man when is the new season starting! ?” So I looked it up and, well, found out it isn’t. I know TV shows always come and go, apparently more often when it’s shows I enjoy, but this really saddens me. Like ppl said, I really hope Netflix or Yahoo pick this show up. I love you gals! Thank you for everything.